This is a simple DIY wireless garage door opener that can be made for about $8. 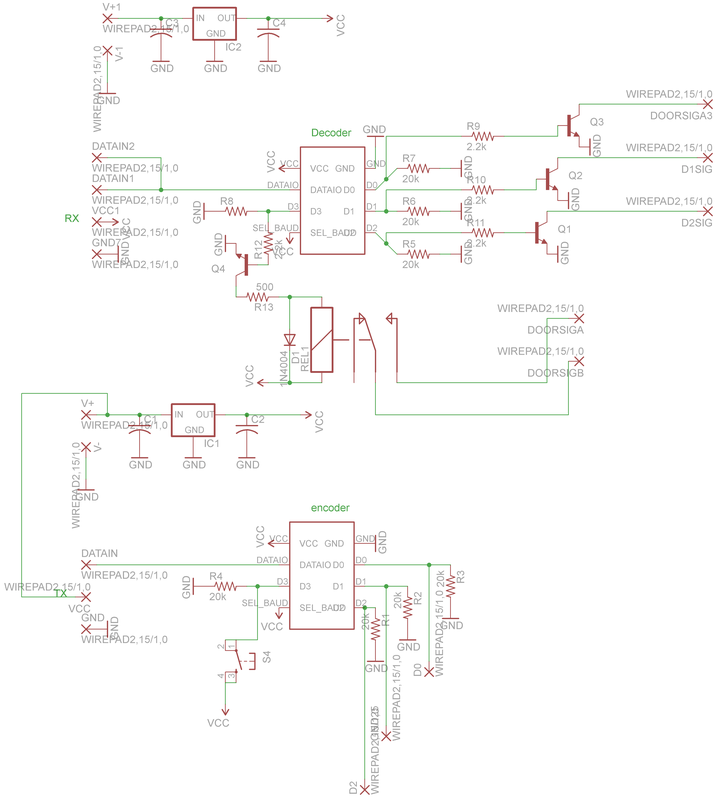 In the schematic and board files the receiver and transmitter designs exist on the same board. 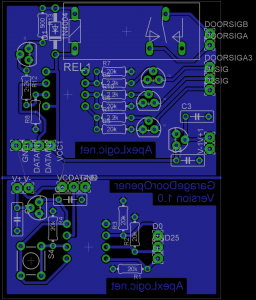 The circuit uses cheap Chinese RX and TX 433MHZ RF modules to communicate back and forth. The modules can be found here. To create an easy wireless link there are no micro controllers used. 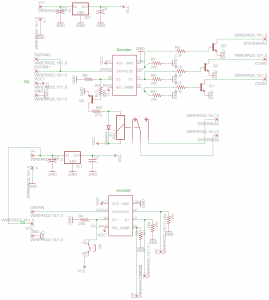 Instead this uses the Linx low security encoder decoder pairs. 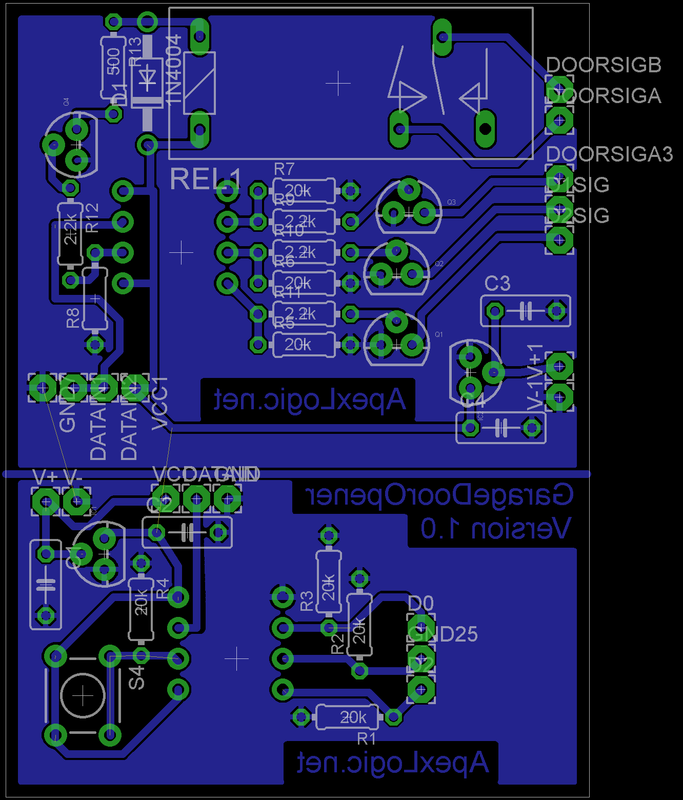 These cheap IC’s will encode the status of 4 digital inputs, send it wirelessly through the cheap RF modules. Then decode the packet and set the digital outputs on the decoder to the same state as the encoder. Linx also carries the mid, and high security IC’s which are packed with even more features.